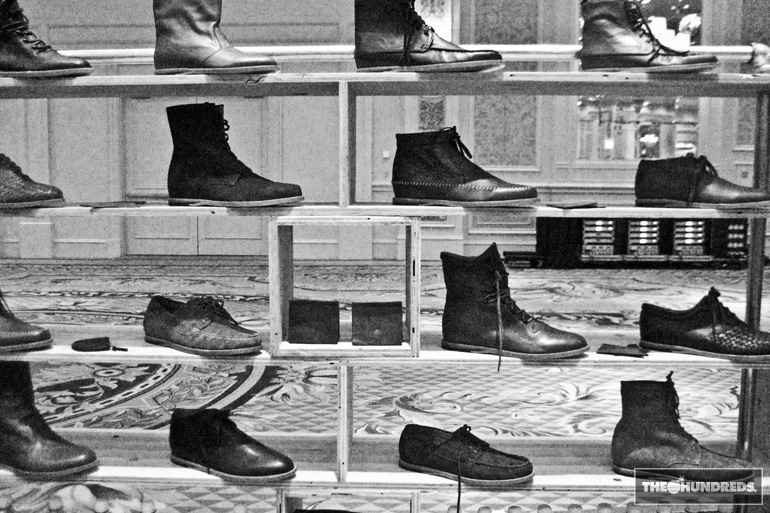 Tradeshow week is wrapping up in Las Vegas, and for everyone in attendance, I’m sure they were all thinking the same thing: “What’s up with all the rolled-up jeans and boots? !” No, just kidding. (Kinda). But I do think it was clear to everyone that as far as design offerings from streetwear and menswear lines go, there’s a noticeable shift going on. 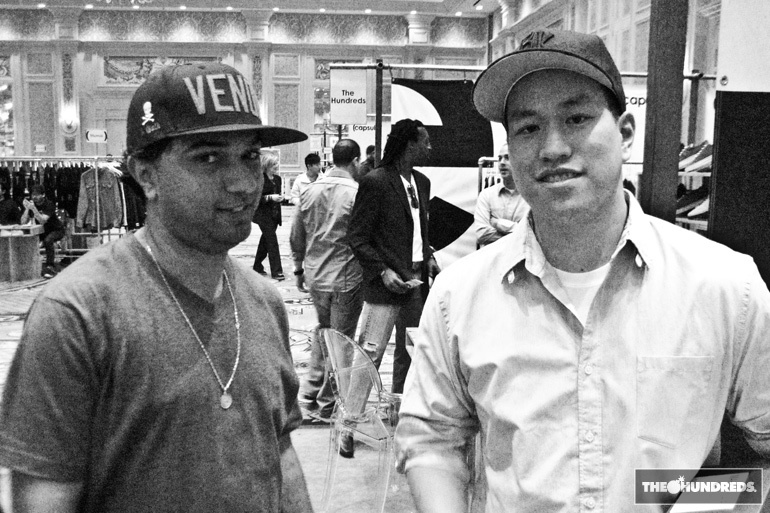 Usually, in regards to Capsule, MAGIC, Project, and the other apparel shows cracking off twice a year in Sin City, I’ll blog about streetwear explosion or implosion, or the industry, or the economy. But this time, let’s discuss Design: the clothing and the branding. I have nothing against rolled-up jeans and boots. I have nothing against all the newfound fashion snobbery. (Well, maybe I do, but that’s a blog post for another time). I just think it can be unfortunate that everybody’s on this dressing “older” and dressing “better” tip (as if a good t-shirt and cap can’t be OLDER and BETTER), but what’s even more insulting is that so many of our fellow brands and peer designers are catering to this philosophy as well… whether they actually believe in it, or just see that the customer and money is there now. Ditching colors for all grey everything and subtracting the youthful energy and freedom from their product range. The statement is loud and clear: “Time to grow up.” Sadfaces all around. As a consumer, if you wanna go get your grown man on, enjoy yourself. You’ve moved beyond streetwear, I understand, and I’m sorry to see you go. But for our fellow streetwear brand-runners, I think it’s important to remember who our collective customer is. He’s young, he’s not so serious, maybe he likes to skate, and perhaps listen to hip-hop. He was a lot like you, actually, back when you weren’t so conscious of being an aged fashionista or trying to look serious in your grown-man clothes, when in fact you look even more ridiculous trying to do so. So here’re the cliffnotes, to all of you who haven’t fled to A Continous Lean already. This is a call to all my brothers in the “streetwear”field: As our friend Buscemi puts it, “Stay in your lane,” because you’re about to dismiss a very important core customer: the dude who’s always gonna be 17 years old and shopping for an inspiring, smart, and pushy graphic t-shirt to kickflip in. For many of you (certainly not all, but many) you’re playing another man’s game, and there’s a possibility that both you and your customer will lose that competition. But most unfortunately, you’re forsaking a very good and creative thing that we’ve all helped build because you’ve been convinced (by yourself and/or others) that it’s not relevant anymore. Just because it’s not relevant to YOU. Don’t shoot yourself in the boot, friends. Streetwear was the past for all of us, but for The Hundreds, it’s the present, and it’s still very much the future. 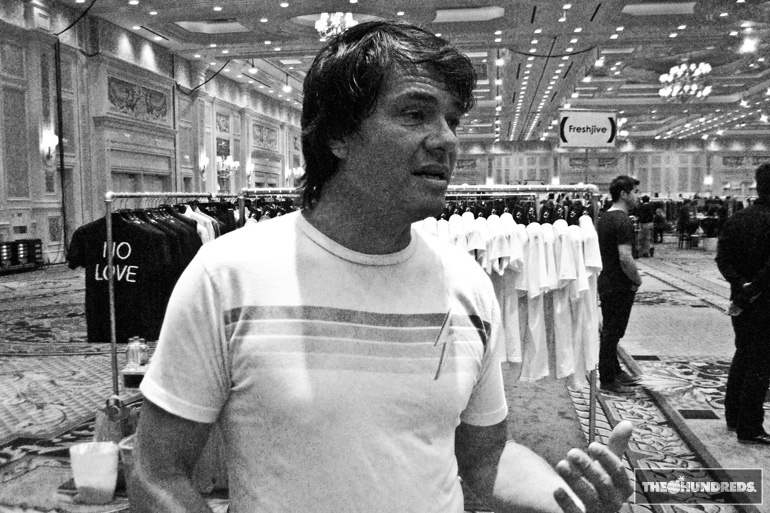 This past week, The Hundreds exhibited at the Capsule show in Las Vegas. Alongside friends like Staple, Freshjive, Public School, Mishka, Triumvir, we were surrounded by Creative Recreation, Opening Ceremony, Rogues Gallery, United Bamboo, and Red Wing Shoes, amongst others. 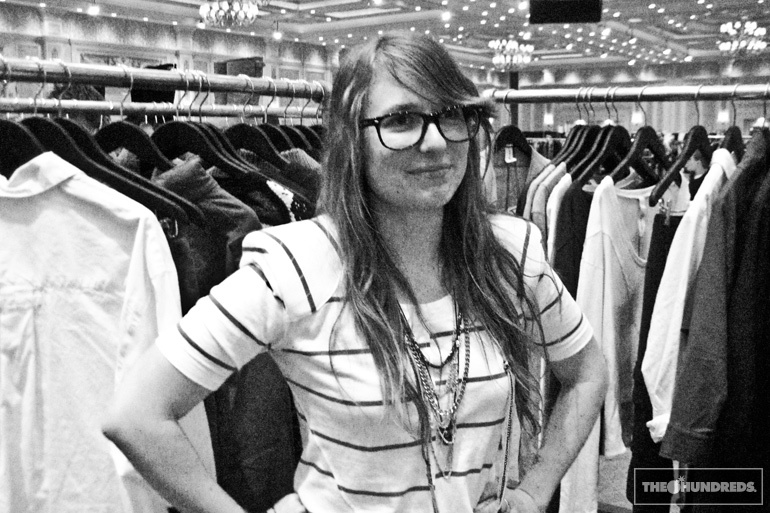 Big ups to my friend Deirdre and the rest of the Capsule crew for going big and making a statement with this tradeshow. It’s everything a good show should be, not noisy, comfortable for the retailers, and a solid exhibitors list that is unparalleled. Chris and Bobby from Acapulco Gold stopped by our booth for a minute. Chris was holding onto a pretty ridiculous AG collaboration, and I mean that in the best possible way. Jon does Lightning Bolt, the recently resurrected ’70s surf brand. We got to talking about whatever happened to the Aloha spirit out in Hawaii. Now the locals are all about MMA, ice, and toughguy beatdowns, huh? Jon’s bummed, just surf and love! Alice told me I better not put this on the internet, but I think she was being facetious. So here’s Alice, she and her partner got their own line now, her namesake Barlow. It’s very cool, inspiring, and impressive. Plus she’s having dinner with my favorite comedian in the world this weekend. Thanks, can I come? This is our old friend Alex. He’s incredibly tall, I had to stand on my tiptoes to get a normal shot of him where the perspective wasn’t all skewed. 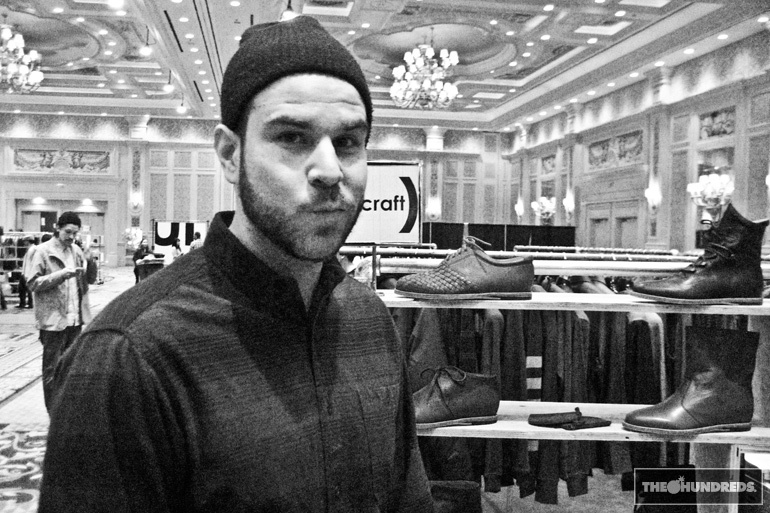 Alex has his own shoe brand now, Thorocraft. Now THESE are some hardbottom shoes I can get down with. 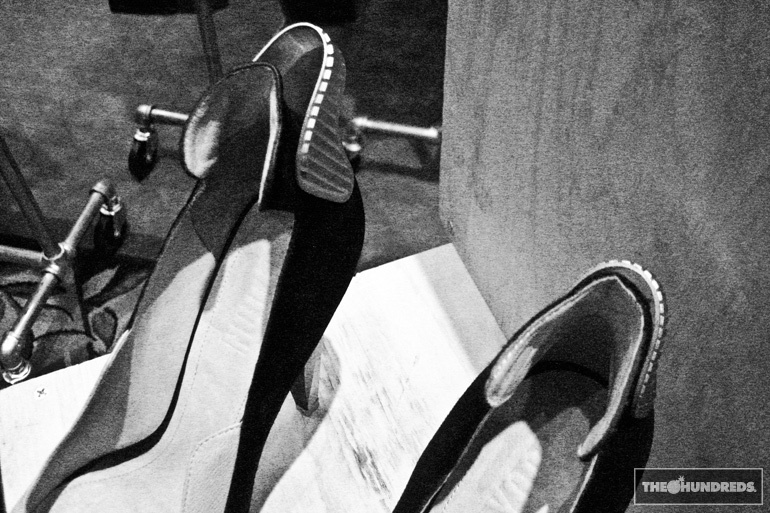 Speaking of old friends and shoes, Christine Su has finally pursued her dream. She and Liz are behind Su-Yoon, the women’s shoe line that incorporates a lot of retro sneaker aesthetic into the designs. I’m sure you’ve seen the commercial with DJs Clark Kent and Neil Armstrong? 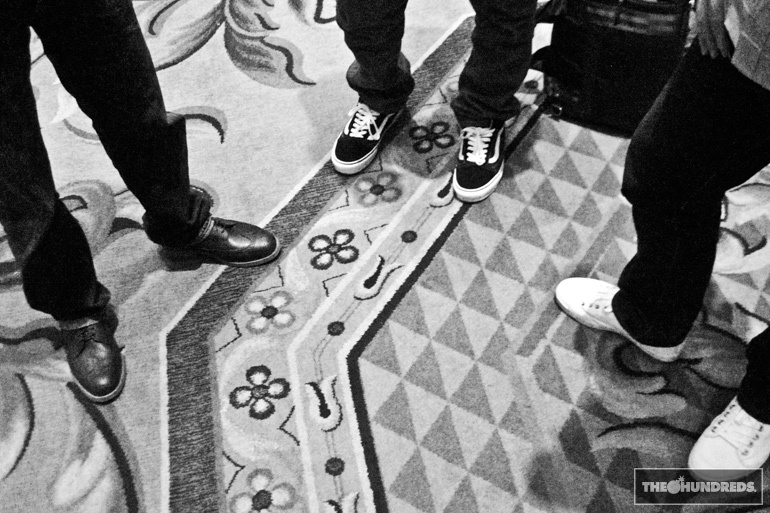 I think this is when we were catching up with Nick, Pete, and Jeff from High Snobiety / Selectism. Only in Vegas is it normal to see carpet like that. Everywhere. 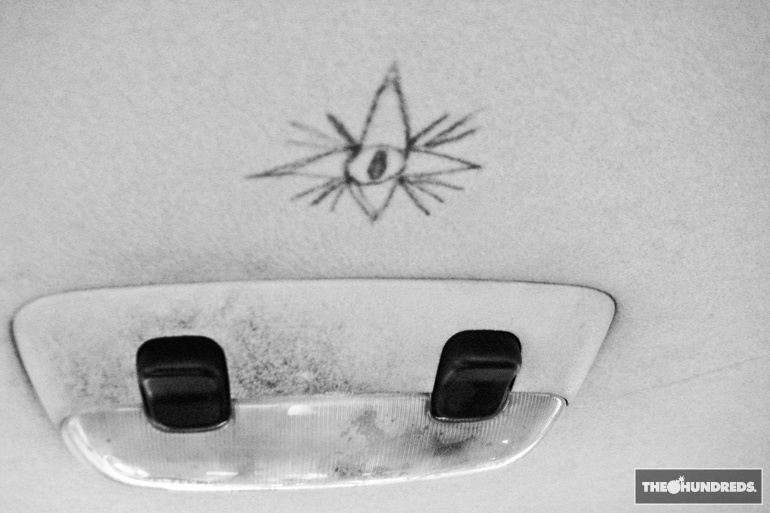 This was drawn on the ceiling in one of my cab rides. Bye.